Rovos Rail has designed a superb 9 day golf safari with which to entertain the most discerning player including optional excursions for non players. The train departs Pretoria northwards to Sun City adjacent to the Pilanesberg National Park before turning east to KwaZula Natal and the Drakensberg escarpment and onwards to the Indian Ocean coast near Durban before turning north and running up the Indian Ocean coast and into Swaziland. The itinerary's final visit is to the Kruger National Park before it heads back to Pretoria. The train suites range from the Royal Suites at 172 sq feet, through to the Pullman suites at 76 sq feet. 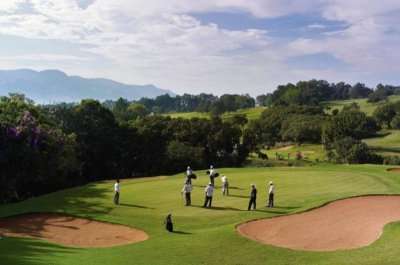 There are a range of activities to suit non-golfers. 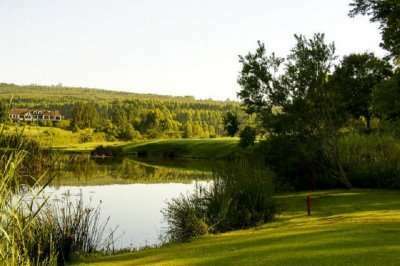 The courses played are: Lost City at Sun City, Champagne Sports Resort, Durban Country Club, Royal Swazi and Leopard Creek - some of the top courses in South Africa.